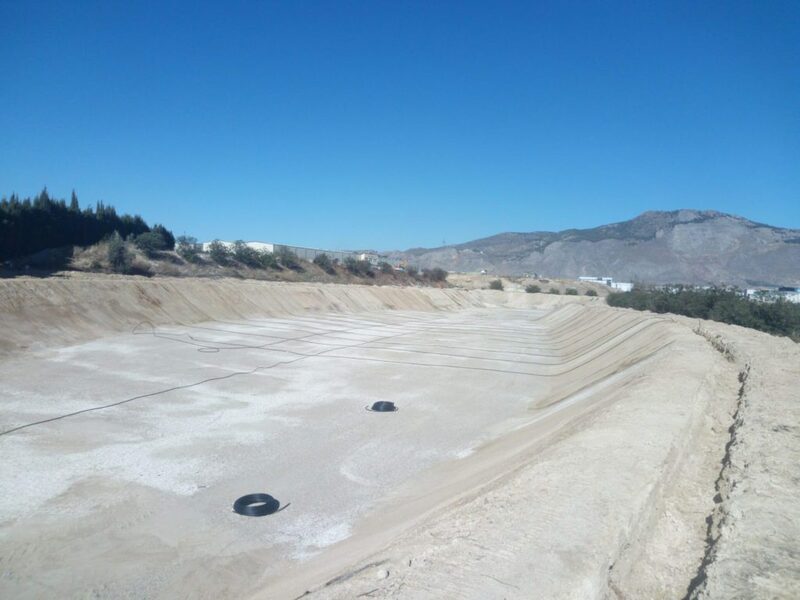 Home/Embalses, General/EMBALSE EN LOJA (GRANADA). 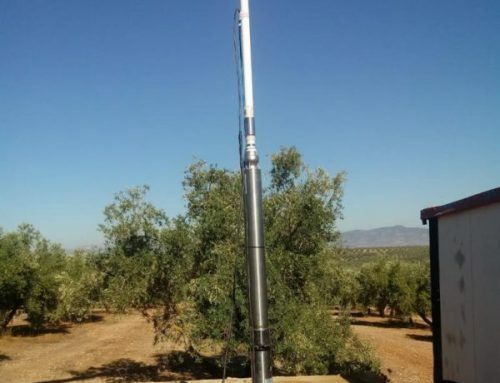 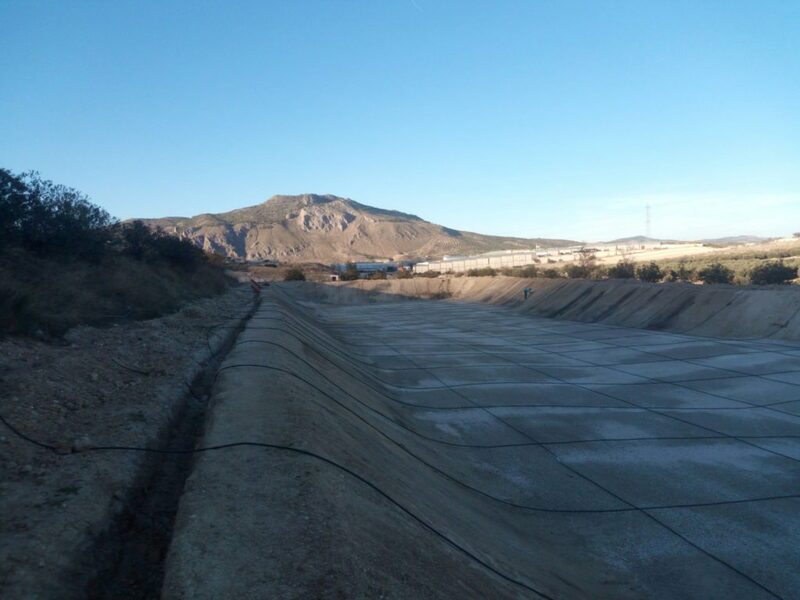 IMPOUNDMENT IN LOJA, GRANADA. 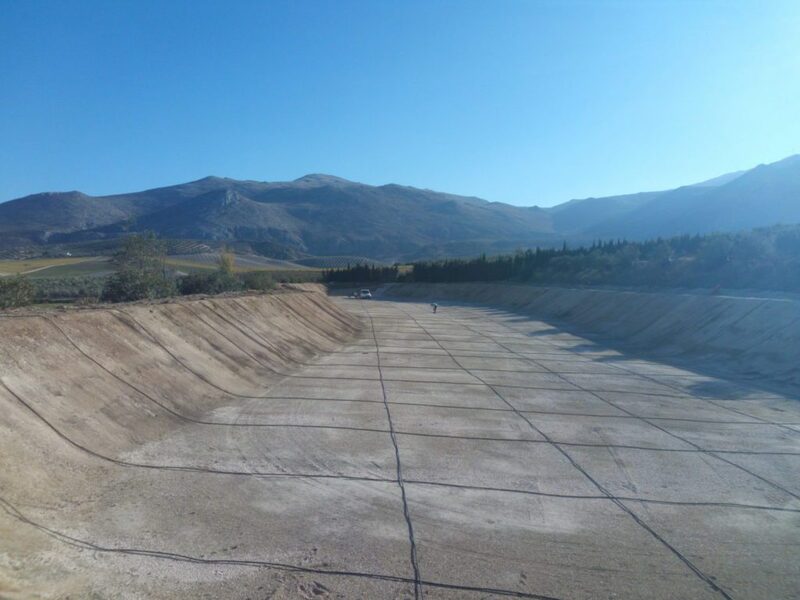 Impermeabilización de embalse en Loja, Granada. 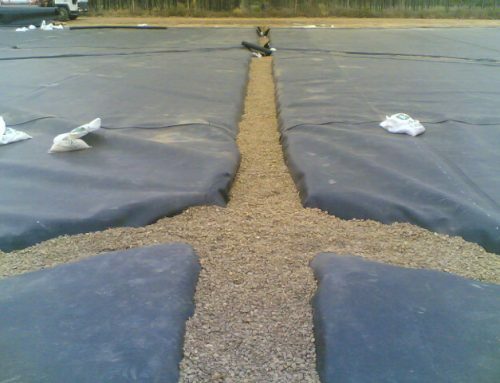 Lámina PEAD 1.5 mm 7.500 m2 y geotextil PP 200gr/m2 7.500 m2. 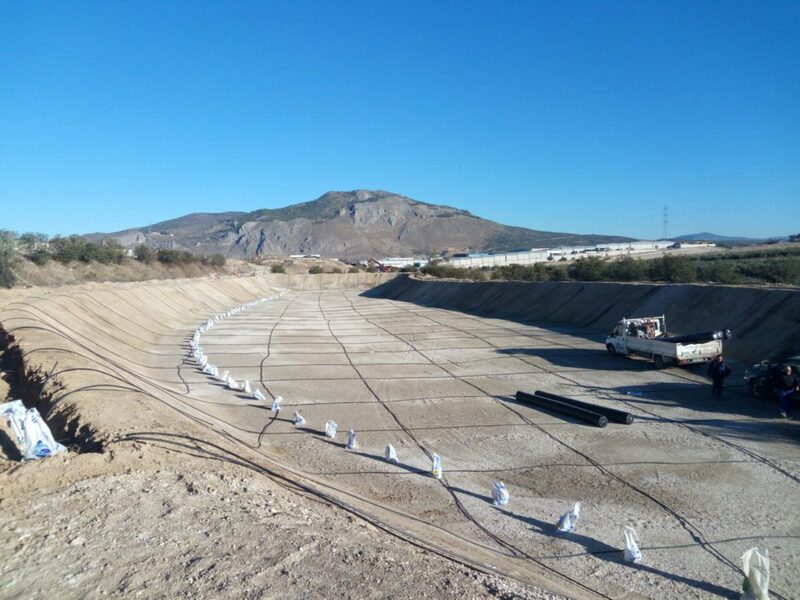 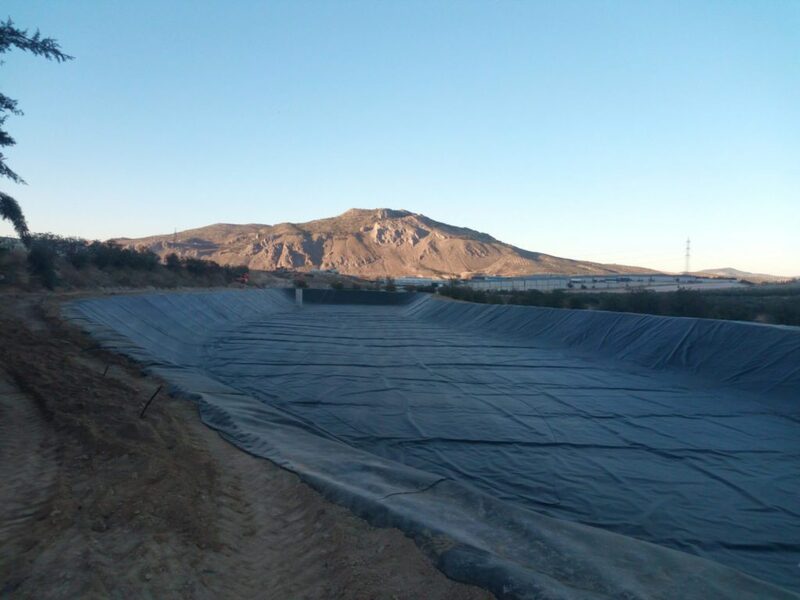 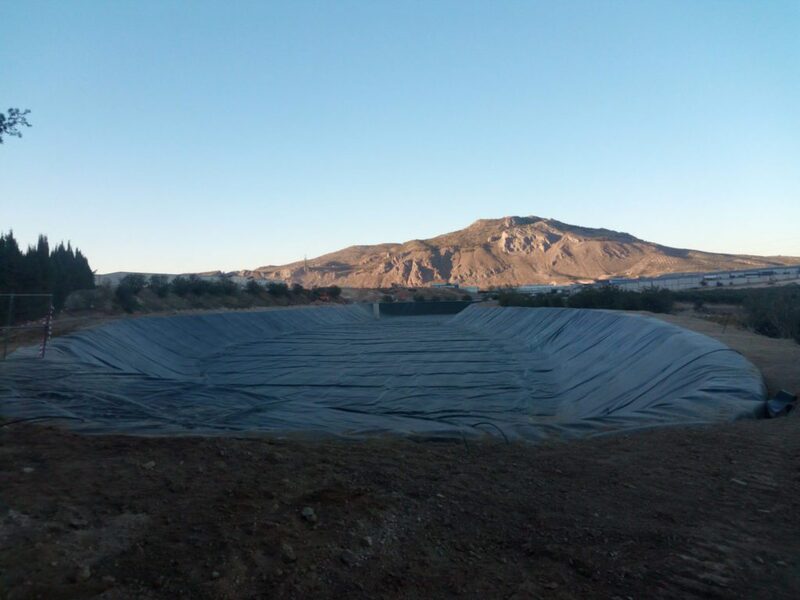 Impoundment waterproofing in Loja, Granada. 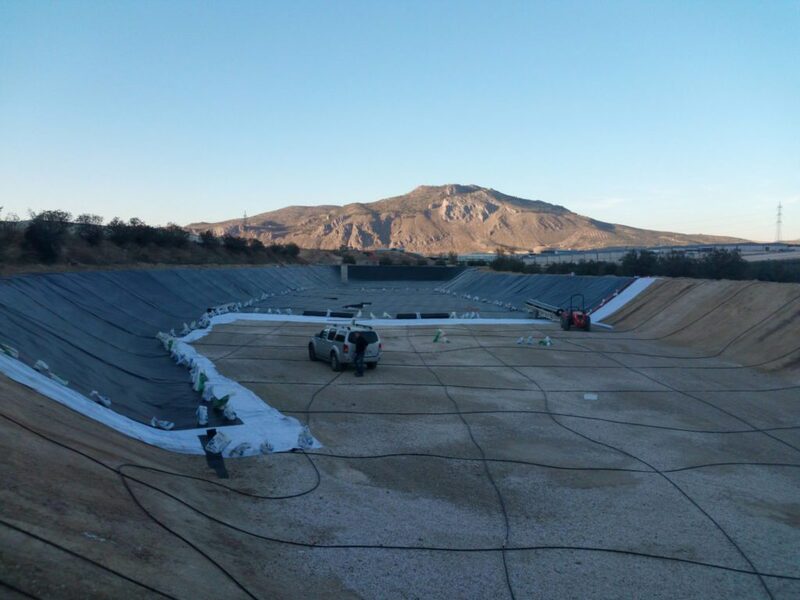 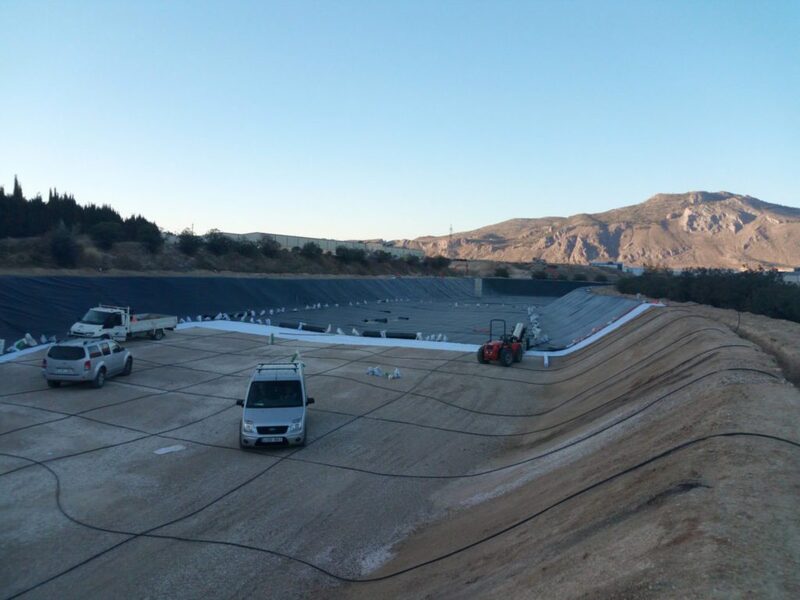 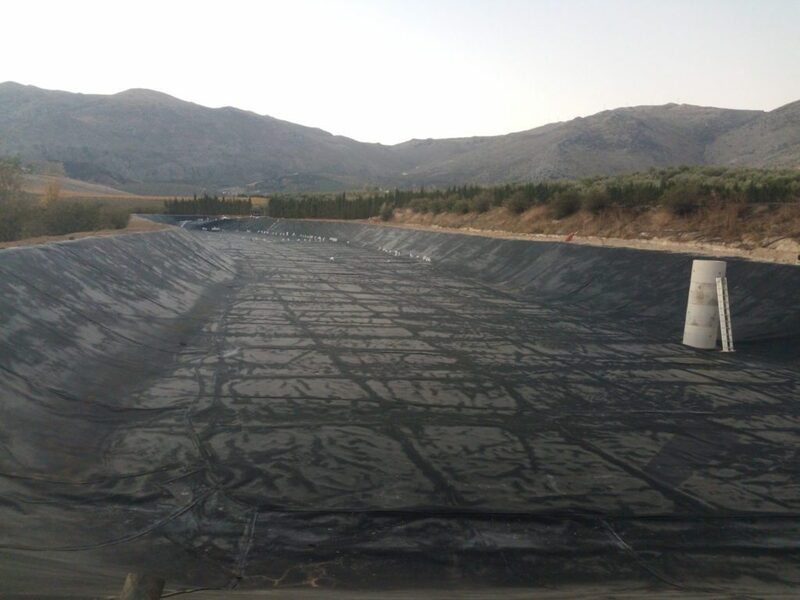 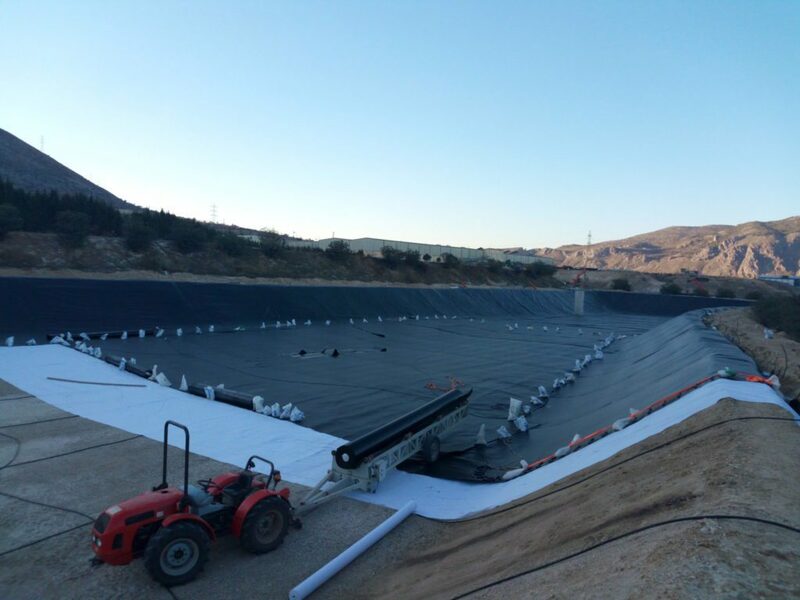 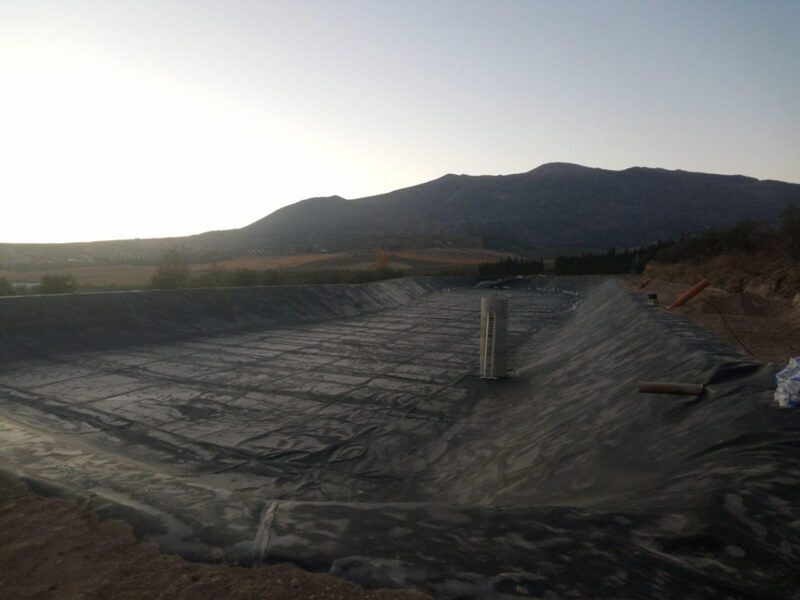 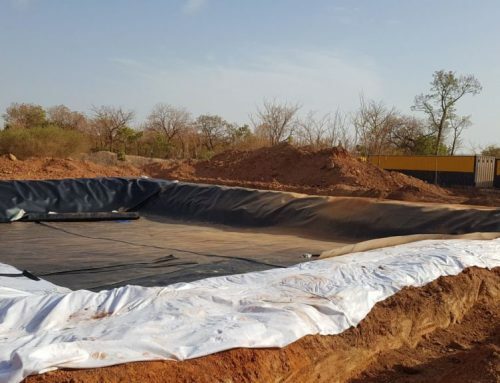 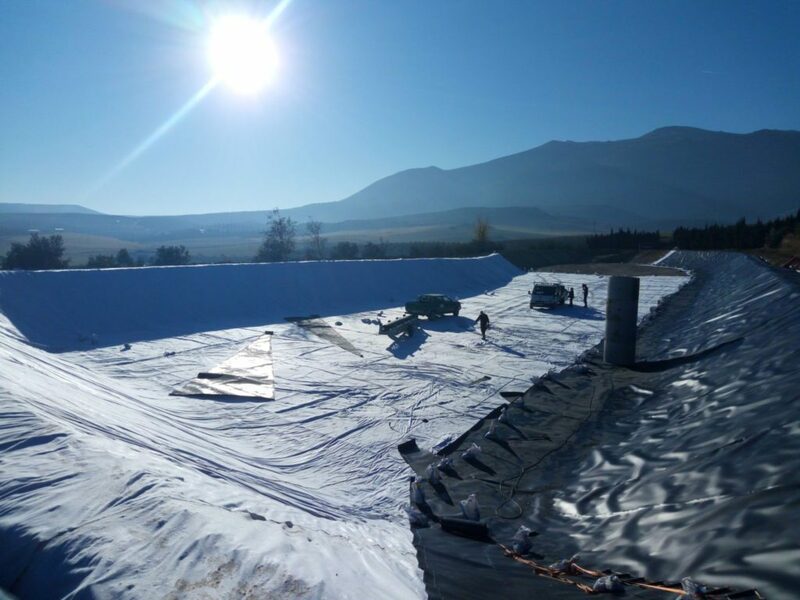 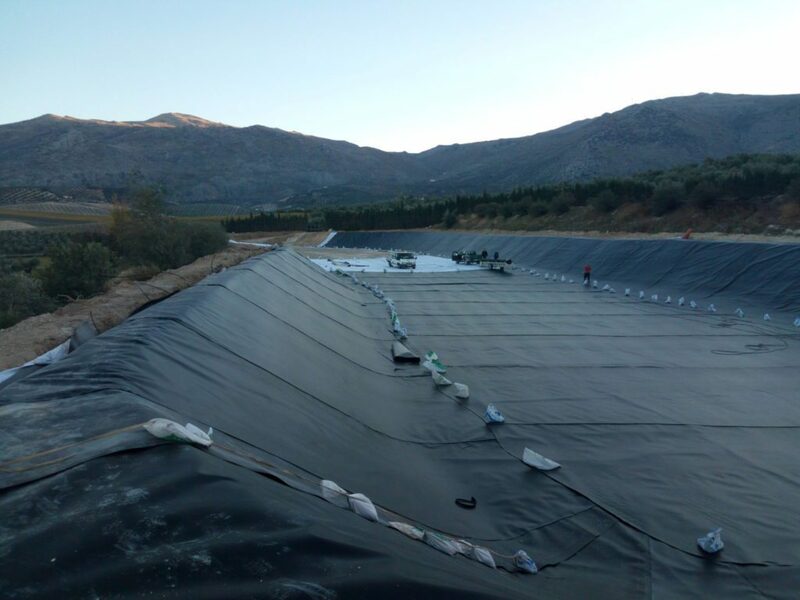 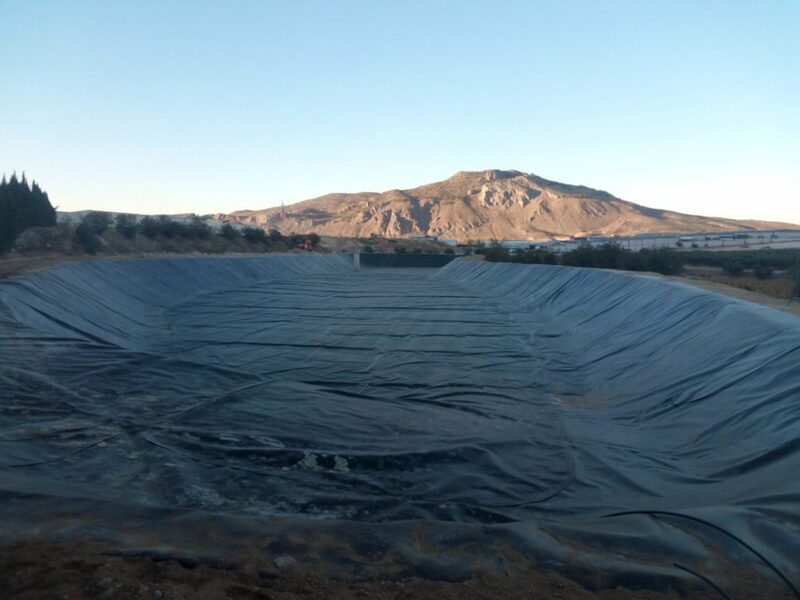 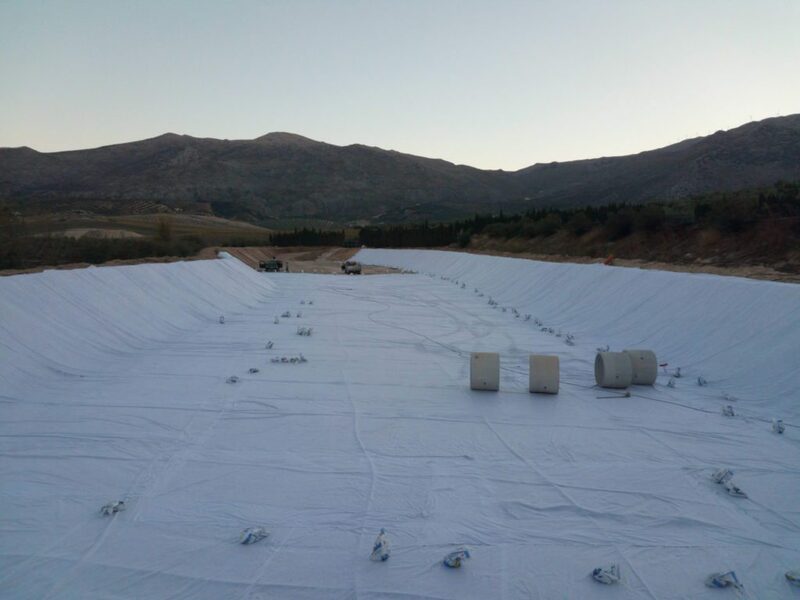 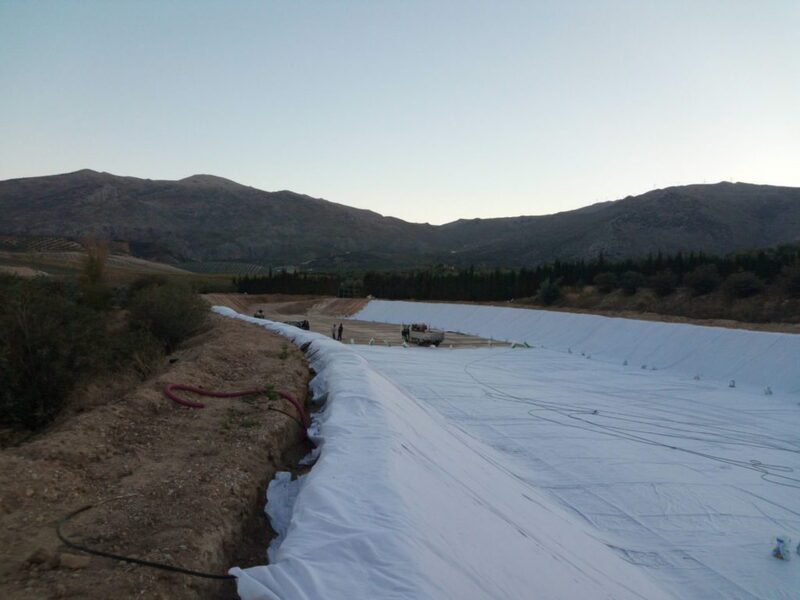 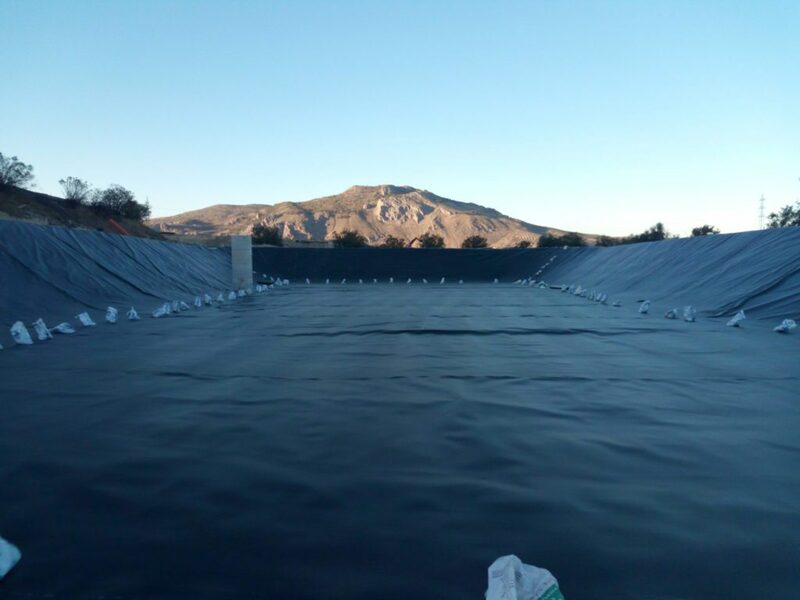 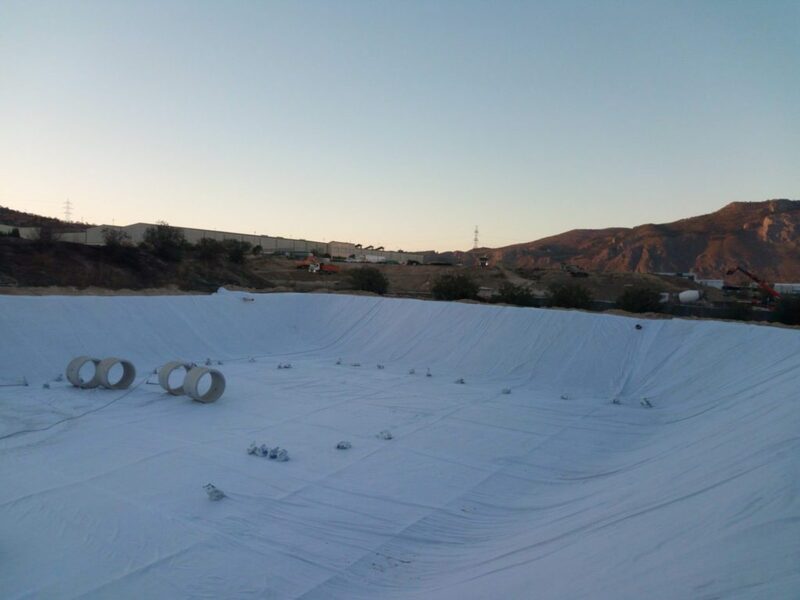 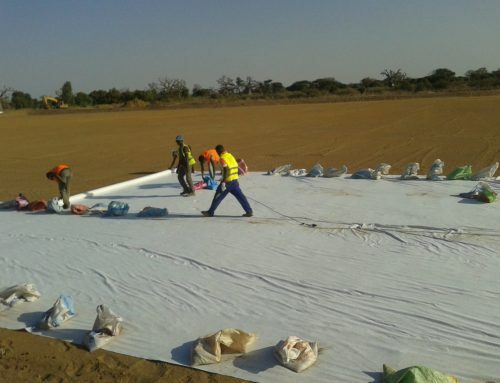 7.500 m² covered with 1.5 mm-thick HDPE layer and 7.500 m² of PP geotextile of 200 gr/m².